This section presents free classified ads for Baby, kids for sale and to buy in Ireland. FREEADS in Ireland is a platform to post efficient advertisements or classifieds in Ireland. We help you find, buy, sell, rent or hire apartments, various goods for sale, local services offerings, cars, jobs and many more in Ireland. If you are not happy with ads you see on this page please use search box above to find other items for sale in category Baby, kids and location Ireland or select another category. Wall Decals offers you best custom wall stickers and decals for your office or rooms and also custom wall quotes, etc. They have durable vinyl material which will apply easily to any smooth surface, stick strong and are removable. They have custom decals and sticker at very reasonable and affordable cost just for you, visit this link https://walldecals. The Zapp Flex Plus features 4 large wheels for a smoother and effortless ride whilst also offering a small compact fold. 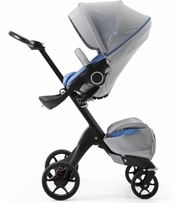 It's the perfect pushchair for fitting into small cars or storing when not in use. Pushchair Features Suitable from birth using the Lux Carrycot or matching Maxi Cosi Car Seat 4 Large wheels for a smooth ride Small and compact when folded Price: 719US$ Contact us Skype: sales. 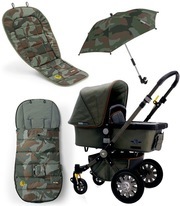 Bugaboo cameleon3 complete stroller - diesel camouflage special edition The military-inspired bugaboo cameleon³ by Diesel comes in a dark green anodized chassis and is complemented by an all-over green canvas and surprising details.An icon from the start, this fully-loaded original adapts to every age and journey. color available in Coral and Marina Whats included: Seat with textiles: Seat Padding, Rear Textile Cover, Harness Protector, Seat Rail Cover and Hood with Visor, Baby Pad, Shopping Bag, Mosquito Net and Rain Cover. Reach me through Skype: sales.trendi WhatsApp: +17193943773. What you get: Rain cover Underseat basket Base seat fabric Seat/bassinet frame Carry handle Chassis with wheels Base bassinet fabric Price: $899.00USD Reach me through Skype: sales.trendi WhatsApp: +17193943773 Email: strollerslimited@gmail.com. Comfort is one of Inglesinas key objectives for every pram and that is why the Classica pram body is completely covered with a high-quality, high performance luxurious fabric both inside and out. 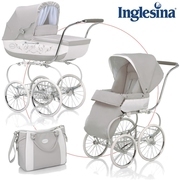 Inglesina Classica Stroller System Includes:: Classica Chasis Classica Carrycot Bassinet Classica Diaper Bag Classica Stroller Seat Classica Footmuff Inglesina Classica Warranty Cost Price: $1, 422USD Reach me through Skype: sales. 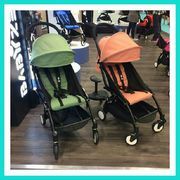 BABYZEN YOYO PLUS 2017 VERSION (PEPPERMINT and GINGER) : We are wholesaler of BABY STROLLERS offer available both in commercial quantity supply and personal use purchase order ...... contact us for availability of colors in stock Offer available for both personal use and reseller at discounted price. 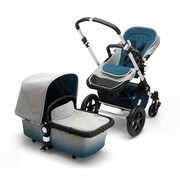 A 3 in 1 travel system. Car seat, pram and carry cot. It also comes with baby bag rain gear and fly net only have it 3 months... Reason for selling it as I just don't have room for it all. Black silver cross buggy for sale in mint condition. Silver cross cosy toes encluded. Live within 10 min from kilkenny city and 20 from carlow..
TEUTONIA 3in1 pushchair Galway, Ireland €300 Beautiful pushchair Teutonia, 3in1 , very good condition, after 1 child, changing bag incl Original price around e1000. 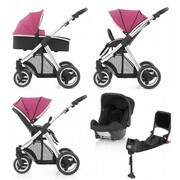 Black double buggie for sale, very good condition €70 approx. Please call 0868984598. 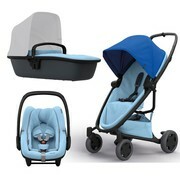 Pebble Pram for sale baby & toddler Car seat & base is available for an extra €30. 3in1 baby elegance pram for sale. Helping a friend, who would like to give this away. She is moving house. Her kids are older now so item no longer needed in her household. Good condition. Description as per pictures. In Cork. For pick up..
Second hand breast pump for sale.Best on the market in my opinion.Bought for 127 euro will sell for 50 euro or nearest offer. Excellent condition Very light weight - Large basket to Cary those toys or shopping also a net bag on back. 4 wheel Buggie Front wheel option turn or lock straight Folds very slim to store away Can arrange for to be delivered to certain parts of Louth, Dublin or Meath. Toddler bed for Sale..Immaculate Condition. Retails at €900, 6 months old. 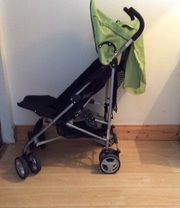 Selling as pram is not being used (only been used 2/3 times). Missing 2 clips on basket which can be purchased for a couple of euro online or in babycare otherwise pram is in excellent condition can also be changed into stroller.matching footmuff included. Fisher Price Cradle swing. Suitable from birth. Two recline positions. Seat can rotate for swinging forwards and back or side to side. Rainforest mobile that opens and closes as turns around. 12 song choices and rainforest sounds. 7 speed settings. Folds for storage and covers are machine washable. Excellent condition. 2 booster seats , 2 girls wetsuits dunnes stores 10-11, 1 boys 7-8. Girls pink bike suit 5-7yrs . All in good condition..
A basic travel bed for travel or home. The practical Dream N Play bed has two solid end panels and two mesh sides so you can see your child at all times. A foldable mattress ( 60 × 120cm ) and a practical carry bag with handles are included and make the travel cot easy to move around. The cot and mattress cover are 100 % polyester and easy to keep clean. Sweet Little Babies Irelands Largest Baby store!! We offer our consumers all of the brands at unbeatable prices and deliver nationwide too  Stockists of: ICandy Silver cross Mamas & Papas Egg Baby style Chicco Kiddy Car seats Maxi Cosi Quinny Phil and Teds Mountain Buggy To name just a few! Why shop anywhere else when you can find it here at Sweet Little Babies. Sweet Little Babies Irelands Largest Baby store!! We offer our consumers all of the brands at unbeatable prices and deliver nationwide too  Stockists of: ICandy Silver cross Mamas & Papas Egg Baby style Chicco Visit our website www.sweetlittlebabies.com or pop into the largest baby store. Brand new pampero car seat. 9 months to 12 years. Bought for €150 sell for €80. Bebecar set rarely used. Pushchair never used. Bought new, in excellent condition.. The Ardboyne Hotel, Sunday Nov 6th, 12 - 2pm. Tons of top quality preloved baby, toddler and maternity gear at a fraction of the new price. Save a small fortune at our parent to parent indoor market. Fab local baby businesses/craft stalls too. To book a stall and turn that unused baby gear into cash or promote your business go to our Navn event at www. Great buggie has everything you need for baby also comes with isofix base for the car. Kearney Bouncy Castles are based in Gort, Co. Galway and have a large selection of bouncy castles, slides and obstacle courses for hire. 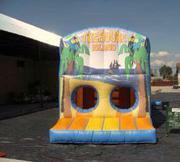 Inflatables are suitable for children from 2-14 years.. I have extra covers for the carrycot . I paid 600 with the isofix base will sell for 200 . Embrace life baba sling & instruction book it's pale purple . Paid 60 will sell for 20 . Mother care 3 way sling I've no instruction book so will sell for 15 euro . Feeding rocking chair 80 euro . Boys clothes 2pair of shorts& tea shirt Dudu players 6-9 months Brown gruffalo Cardigan 18-24 mts Grow bag blue 18-36mts M&s blue full snow suit 9-12mts Next blue & white huddy 3-6 Next jeans 6-9 mts Next top 6-9 mts Little rocha jeans 12-18 mts Name it green combats 9-12 mts Name it checked shirt 9-12 mts F&f red checked shirt 12-18 mts F&f grey lined fleece cardigan 9-12 mts 2 pair of dungaree shorts 9-12 months 40 for everything Baby changing unit plastic with a bath and shelving I can send pics of anything ur interested in . Ireland free ads for Baby, kids, Ireland, Baby, kids free ads Ireland, Baby, kids for sale Ireland, Baby, kids to buy in Ireland. This page is a classified ads listing for Baby, kids Ireland. This listing includes classifieds for sale and to buy in Ireland. If you posted an advertisement on Baby, kids, Ireland before please use Edit my ads button to change or cancel your ad. Baby, kids Ireland ads Ireland, Baby, kids classifieds Ireland, Baby, kids free ads Ireland, ads for sale Ireland, ads to buy Ireland, FREEADS in Ireland. Find here ads for sale, to buy and rent in Ireland. Goods for sale in Ireland, vehicles for sale in Ireland, Ireland real estate for sale, Ireland property for sale, property for rent in Ireland, business ads in Ireland, Ireland business classifieds, services in Ireland, Ireland services ads, jobs in Ireland, pets for sale in Ireland, Ireland dating, Ireland cars for sale.